Compactable universal composite that features the same high density, uniform dispersion nano-filler technology as found in G-ænial Universal Flo. 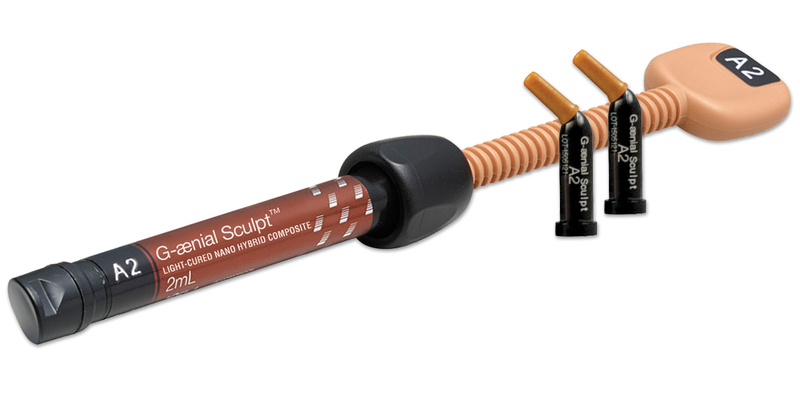 Creates a resin easy to shape, sculpt and polish to a strong, wear-resistant and beautifully esthetic restoration. Contains: 1 x 2ml syringe.